AC Milan striker Carlos Bacca has been about as consistent a scoring force as anyone over the past 10 years. With West Ham United in the market for a striker, the Hammers see Bacca as a player worth breaking the bank for and have submitted a substantial offer to Milan for the Colombian star. According to the Sun, West Ham have submitted a bid of £25.7 million for Bacca – triggering the 29-year-old striker’s release clause in the process. West Ham will play in the Europa League for the 2016-17 season – something Milan will be unable to offer Bacca this coming season. Bacca finished third in goals scored for Serie A this past year with 18 goals, along with two goals in the Coppa Italia. 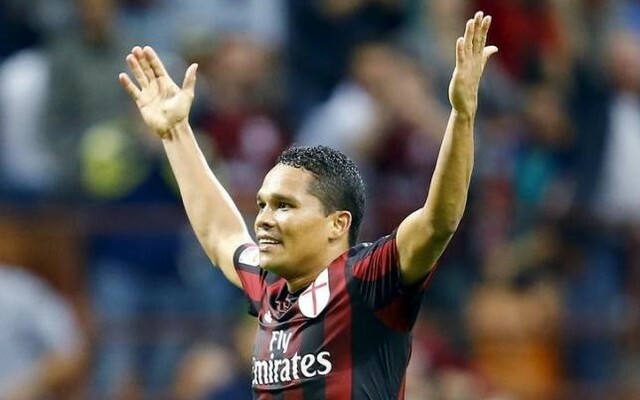 Over a ten-year career between Barranquilla, Minerven, Atletico Junior, Club Brugge, Sevilla and Milan, Bacca has made 324 league appearances and scored 167 goals – better than a goal every other game. During his entire club career, Bacca has scored 210 goals in 405 appearances. On the international level, Bacca has scored 13 goals in 33 caps for Colombia.